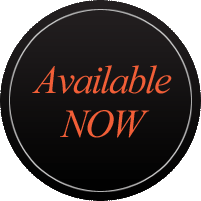 If you want to contact me for an author visit, you can reach me at edfadel@dontrent.com.. Either I, or one of my assistants, will get back to you. Send us a word we look forward to hearing from you. 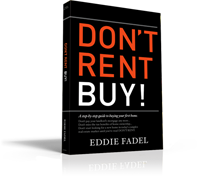 Eddie Fadel, the author of Don't Rent Buy!, believes in the American dream – of every family owning a home of their own. He has a special interest and expertise in guiding first-time homebuyers through the complex and sometimes mystifying process essential to home ownership. Mr. Fadel wrote Don’t Rent Buy! with one goal in mind: To encourage and convince renters to quit writing checks to their landlords and to become home owners. By sharing his considerable experience and knowledge of the real estate industry, he has helped countless homeowners buy their first homes. His clients represent all walks of life -- from those with sterling credit histories and ample down payments to others with weak credit histories and personal financial situations. Their realization of the American Dream has been a source of great joy and personal satisfaction to him during his career. Mr. Fadel has built an enviable reputation for helping clients nationwide maximize their financial potential. Through his thoughtful guidance and deliberate counseling, Mr. Fadel insured that his clients had the ability to repay their mortgage obligations and diligently avoided risky situations involving loan defaults. 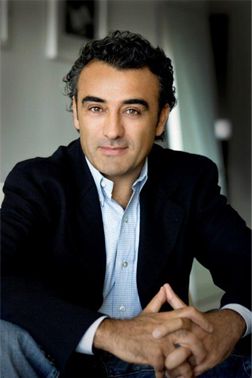 Mr. Fadel, who began his residential real estate career as a loan officer in 1997, formed his own company in 2004. Today, he continues to be active in the industry as a Managing Broker. He is associated with many of the industry’s leading professionals including lenders, financial planners, CPA’s, REALTORS®, Home Builders and attorneys, to create and implement plans that help his clients reach their long-term financial goals. The three key pillars of his business philosophy are: honesty, dependability, and competitive service.